A versatile dining-room chair from Pascal Bosetti, available with a wooden or upholstered outer shell. In the wooden version the beech shell is finished in a beautiful oak laminate, available in various colours. 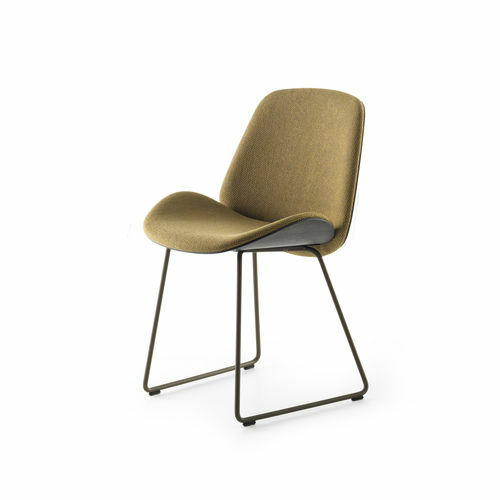 The upholstered version offers the option to upholster the inner and outer sections in different fabrics. The frame can be finished as an epoxied steel base, or legs of the same material.